As a consequence of the ‘fast-paced’ ‘technology-driven’ society in which we live, I’m hearing this comment more and more, “Pastor, I feel weary and fatigued. How do I find rest?” In the words of a famous Simon & Garfunkel song, “Slow down, you move too fast, you got to make the morning last.” According to recent studies, living under unnatural time pressures triggers a myriad of psychological, social and physical ailments. The result of this disconnection from God’s appointed pace for life is causing people to show up in therapists' and doctors' offices every day. Disconnected from the natural rhythms of our bodies and souls, we struggle to adapt to the strange vacuum caused by the technological and unspiritual world we have created. Ravi Shankar said, “Activity and rest are two vital aspects of life. To find a balance in them is a skill in itself. Wisdom is knowing when to have rest, when to have activity, and how much of each to have. Finding them in each other - activity in rest and rest in activity - is the ultimate freedom.” I totally agree with this, but what does God’s word have to say about it? 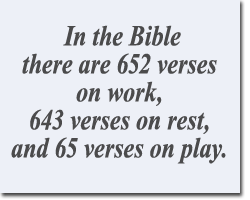 In the Bible there are 652 verses on work, 643 verses on rest, and 65 verses on play. Therefore, God wants us to keep a balance between all three, and to do them in an appropriate rhythm using a wise technique. I am reminded of a story I once heard… One man challenged another to an all-day wood chopping contest. The challenger worked very hard, stopping only for a brief lunch break. The other man had a leisurely lunch and took several breaks during the day. At the end of the day, the challenger was surprised and annoyed to find that the other fellow had chopped substantially more wood than he had. "I don't get it," he said. "Every time I checked, you were taking a rest, yet you chopped more wood than I did." "But you didn't notice," said the winning woodsman, "that I was sharpening my axe when I sat down to rest." Likewise, we should be ‘resting in God’ and sharpening the sword of the Spirit - to confront the enemy of our souls. Project Bridges is delighted to welcome its newest partner, Lancaster Bible College, to the Bridges team. Lancaster Bible College, which has its main campus in Lancaster, Penn., recently acquired the academic programs of Washington Bible College/Capital Bible Seminary. The financially strapped institution was in danger of closing when LBC followed the prompting of the Lord to obtain the college and seminary. God answered that prayer when He connected Rev. Harold Brinkley, executive director of Project Bridges with Beers. “Our hearts were immediately knit together by the needs of the metropolitan region, and the shared vision and mission of LBC and Project Bridges,” Beers added. As a Project Bridges partner, LBC offers a 25% discount to students of Bridges member churches. In addition, LBC is interested in working with area churches to invest in the lives of those in the Washington, D.C., metro area. “Lancaster exists for the local church. Our mission is to educate Christian students to think and live a biblical worldview and to proclaim Christ by serving Him in the church and society,” said LBC’s President Peter Teague. Lancaster Bible College ranks number two out of all of the accredited Bible colleges in the United States. It has provided biblical higher education for 80 years, and currently offers 45 programs distributed through 8 undergraduate degrees, 6 doctoral-level degrees and 1 Ph.D. Classes will be offered through Lancaster’s iLead Center Capital Region program, which serves adult learners at all levels, and the Capital Bible Seminary. Instruction will be delivered through nontraditional, student-friendly formats, as well as online. 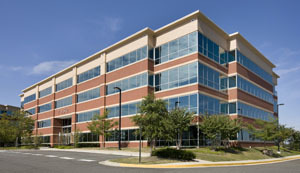 LBC’s Maryland campus is located at 7852 Walker Drive in Greenbelt. The convenient location is close to the 95/495 beltway, Baltimore-Washington Parkway and it’s one mile from the Metro – shuttle buses can drop students off at the front of the building. “We welcome Lancaster Bible College to this area and look forward to working together through this partnership for many years to come,” said Rev. Brinkley. For a brief moment, there was stunned silence and then the room erupted with applause. In fact, it turned into a standing ovation. Why?Dr. Bramwell Osula had just delivered a thought-provoking message challenging attendees to be transformational leaders in the 21st century. At the July 13th Regent Bridges Seminar, the conference room was full of church leaders who were hungry for leadership development. “You know that God has entrusted you with leadership,” Dr. Osula told the crowd. However, he noted, the world is rapidly changing and if the church is to remain relevant, our leaders have also got to be relevant. “God’s word remains constant, but the manner in which we share the timeless truths must be altered,” said Dr. Osula. So, what did he hope leaders would take away from the seminar? Dr. Osula’s topic centered on “Developing the Vanguard,” which was a metaphor for leading at the forefront of a trend, movement or battle. He cautioned against becoming complacent or simply glorying in achievements and how far a church has come. “You are in real trouble if you think you have arrived. You must force yourself to keep exploring and finding new paths,” he urged. Congregations around the world have been impacted by at least one of these trends. How is your church responding? 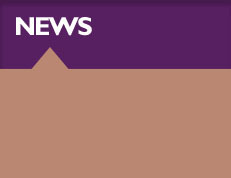 Dcn. Ramona Oliver Branch explained some perceived challenges and opportunities in her church, as well as how the youth are leading the way to expand beyond the “brick and mortar” building. Here are a few questions from the presentation to consider as you assess the strength, mission/vision and organizational structure of your church. What will your congregation look like in 2063? If your church leadership were asked to make a case for why your congregation is important to the community, what would it be? How does the statement, “in fifty years we may have less brick and mortar churches and more house churches,” impact your congregation’s future? What’s your congregation’s greatest area of vitality? Join us for the next Regent Bridges Seminar on Saturday, November 2. Watch your email for details. Pens, pencils, erasers, notebooks and backpacks are all common school supplies that most students need. However in our current economic climate, it has become increasingly difficult for many students to show up at school with the tools necessary for learning. This summer, Project Bridges and World Vision partnered with Six Flags America through its “Stuff a Coaster” school supply drive. Amusement park guests who donated at least six items during the 2nd week of August were able to receive a half-price ticket to enter the park. During that week, the donations poured in and more than 3,000 items were collected, which far exceeded the original goal of 2,000. Also, 15 college students from Lancaster Bible College, a Bridges partner, travelled to town early in the morning to help other volunteers from Project Bridges churches with sorting and packaging the donated items. Students at William Paca Elementary School in Lanham, Md., Monarch Academy in Baltimore, and Barnard Elementary School in the District, received the donated school supplies. “I am so thankful that we were able to support these students and show them the love of Christ,” said Rev. 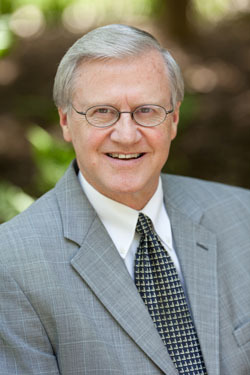 Harold Brinkley, executive director of Project Bridges. “We certainly could not have done this alone. Our collaboration with all of our partners shows a glimpse of Kingdom building,” he added. Join us next month for the forum, “Church at Risk: Piercing the Sacred Veil.” Over the last five years, lawsuits against churches and clergy have risen by more than 40 percent. Come and learn diverse ways to shield your church, ministry leaders and volunteers from unnecessary exposure to litigation, personal liability and negative media scandals. For more information and to register, click here. Save the Date! Our last Regent Bridges Seminar for 2013 will focus on overcoming community trauma. Does your church understand how to handle the emotional trauma of poverty, hopelessness, gun violence, drug addiction, dysfunctional families, sexual violence, incarceration, etc.? Are you addressing emotional baggage from a biblical perspective? Be sure to join us in November for fresh insight on how to interact with those in our communities who are burdened by traumatic experiences.